Our fellowship program—developed in New York City over the last decade—serves as a national model to inspire the development of new programs in cities and states across the country. Our model is simple. We don’t fix teachers. We don’t reform their practice. Instead, we focus on excellence and trust. We find the best teachers across New York City and build a professional community for them to collaborate and learn from one another. Ultimately, we inspire them to stay in the classroom and amplify their impact across the city and beyond. We award two distinct four-year mathematics and science fellowships: one for teachers who are early in their careers and who show extraordinary promise and another for experienced, accomplished teachers. 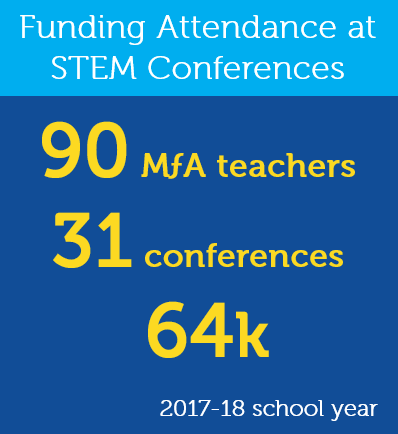 All teachers who receive an MƒA fellowship join a city-wide STEM community of critical thinkers, collaborative learners, and acclaimed experts. We advocate for teachers to be respected and trusted as professionals and to have access to a meaningful professional community where their voices are prominent. We believe MƒA is changing the way we think about teachers and teaching in America. 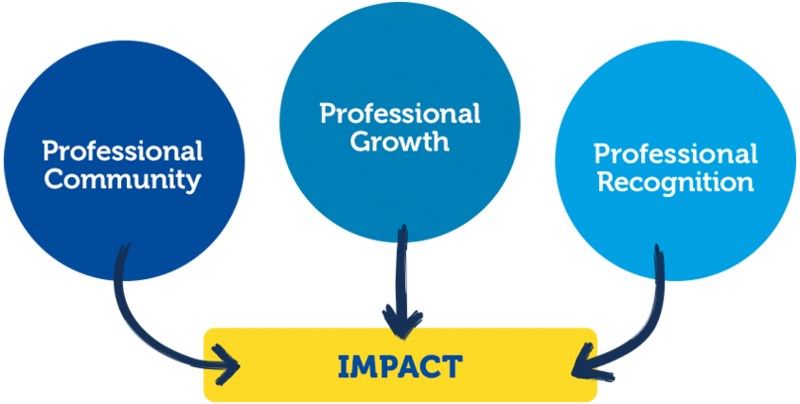 Our goal is to improve retention nationally by establishing a network of independent programs modeled on MƒA that supports communities of accomplished mathematics and science teachers across the country. We’ve created a community-based fellowship program for outstanding mathematics and science teachers. Our model is grounded on the belief that collaboration, continued learning, and genuine respect not only helps teachers grow professionally, but also provides them with long-term career satisfaction. MƒA teachers meet regularly both professionally and socially, online and in person, taking and facilitating courses together and building strong new professional relationships throughout their fellowships. We believe participation in a professional community is critical to sustain teachers in their careers – and attending, designing and leading courses at MƒA is just the beginning. 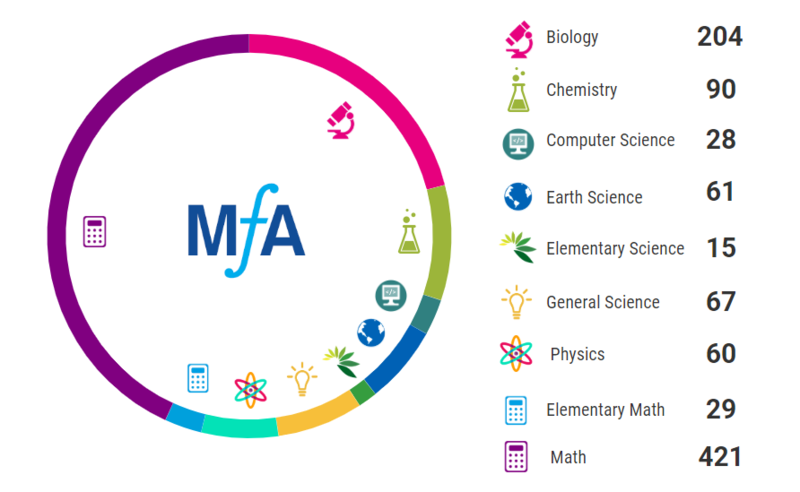 Throughout each fellowship, MƒA teachers engage in - and often facilitate - a wide range of learning opportunities and explore common themes to develop skills and new strategies for reaching all students. Our vast community of scientists and mathematicians work with our teachers to provide opportunities to deepen content knowledge and make new connections. MƒA Master Teachers themselves serve as mentors for MƒA Early Career Teachers so they, too, can grow and make teaching a lifelong career. Our teachers can access each other through our private online community to pose in-the-moment questions or propose meet-ups for study groups or events. As hard as teachers work, we know communities bond through informal collaborations together too. MƒA provides many opportunities for teachers to get to know each other outside of the school day as well. Playing on our softball team and attending social events, special lectures, and screenings are just a few ways we see teachers immersing themselves in the MƒA community. We've developed a network of Master Teacher Programs. Through our fellowships, MƒA teachers deepen their own content knowledge, refine and expand their skills as pedagogues, and examine the best ways to teach every student in their classrooms. MƒA teachers engage in a wide range of high quality, STEM-focused professional courses and events – much of it designed by and for our community of teachers – throughout the school year. Professional Learning Teams (PLTs), which are small teams of teachers who meet monthly to collaboratively learn, investigate, and implement best practices. Year-long courses, where experts from outside academic institutions engage MƒA teachers at the cutting edge of their content area and/or pedagogical practice. Mini-courses, where experts from outside academic institutions and from the MƒA Master Teacher community engage MƒA teachers at the cutting edge of their content area and/or pedagogical practice. Cohort meetings, which are regular workshops designed to provide opportunities for teachers to lead, collaborate, learn, share, and reflect with their peers. 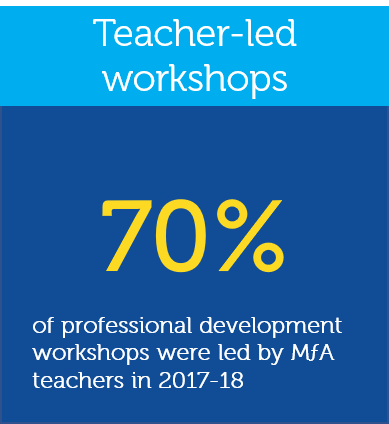 Single session workshops, where experts from the MƒA Master Teacher community and outside academic institutions engage MƒA teachers at the cutting edge of their content area and/or pedagogical practice. Interest Groups, which are designed for small groups of teachers to meet informally around a common interest, providing opportunities to make connections, begin conversations with their colleagues, and discover ideas for new courses or PLTs at MƒA. Other Engagement opportunities, where teachers can attend and participate in special events, such as panel discussions, talk from experts within the MƒA community and by individuals from outside academic institutions, MƒA Thursday Thinks and the MƒA Summer Think, our Master Teachers on Teaching event, and Chancellor’s Day workshops. Explore our current course catalog. Teachers in our fellowships are impressive professionals, and we elevate their achievements to build the respect, trust, and recognition they deserve. We provide stipends to teachers, honor them through special events, and offer opportunities to share their perspective and work both locally and nationally. In all these ways, we celebrate not only our teachers but the teaching profession. MƒA teachers, as expert professionals, exemplify what it means to be a great teachers. At MƒA we advocate for teachers across our community, New York City, and nationally to be respected as professionals and to have access to a meaningful professional community where their voices are prominent. MƒA empowers teachers to be the experts by providing the time and space for us to lead, share, and explore best practices in STEM education. MƒA truly appreciates and honors teachers and the profession.